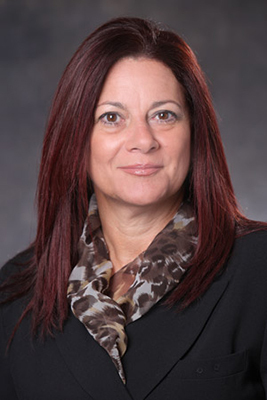 CORAL GABLES, Fla. - Jan. 15, 2018 - PRLog -- Global insurance company Premier Assurance Group (PA Group), headquartered in Coral Gables, has named Lorraine A. Jimenez as its Vice President of Group Benefits. Jimenez brings more than 20 years of experience in the international insurance industry. "For more than two decades, Lorraine has perfected her skills in the insurance and benefits fields," said Charles Jorge, president of PA Group. "Her experience with competitive business markets and global benefits management are the perfect fit for our team, and we are very excited to welcome Lorraine to PA Group as our Vice President of Group Benefits." In her new capacity, Jimenez will be responsible for leading and advancing PA Group's insurance processes and strategy for the group benefits division. Jimenez was previously the vice president/managing director of corporate sales & client relations at World of America Global Partners Inc., where she was responsible for client retention in the corporate health division and directed the account management team. Her experience also includes serving as managing director of Crystal & Company's Employee Benefits Division. In this position, Jimenez revitalized the company's global sales strategy and helped implement best sales practices in many countries, and achieved 92 percent client retention rate in 2012. Jimenez majored in psychology and minored in business administration at Staten Island College (SCUNY). From protecting our clients' health with worldwide coverage to helping them achieve a successful financial future, PA Group creates financial security road maps for life's most significant events. For over 18 years PA Group has guided and protected our international clients with comprehensive health and wealth accumulation solutions. To learn more about PA Group, visit www.pagroupco.com.